I love crafts that turn into foods, don’t you? 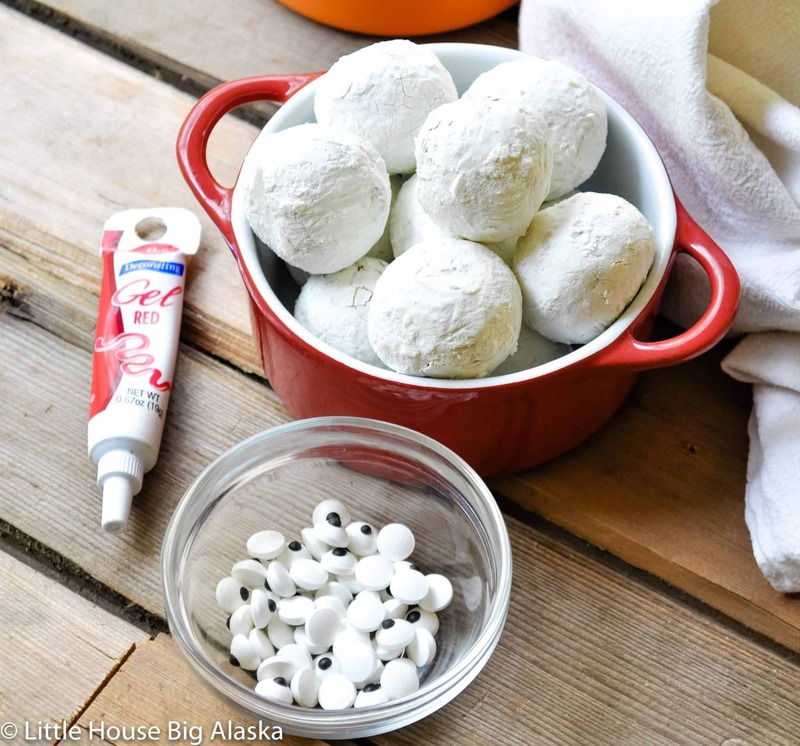 Let kids go with a little frosting or gel, add some candy eyes, doughnut holes and boom a craft! And then a snack! And nothing to take home and “treasure.” Look I love some of the things my kids make, but I just can’t take the neverending “crafting for the sake of busy-ness” that so many moms and dads buy into these days. 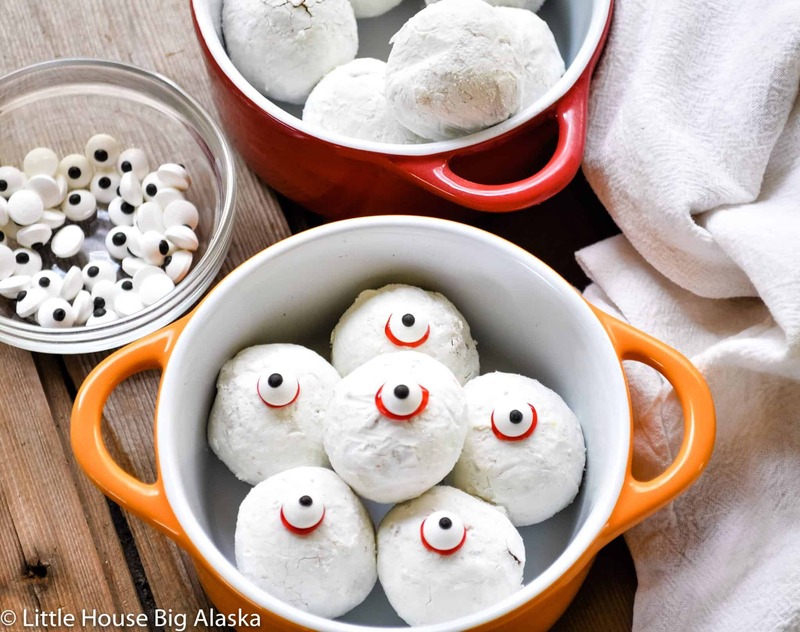 Halloween Doughnut Hole Eyeballs are for everyone too. Not JUST for kids. Not just for creepy office eats. Make them for any party you’ve got going on this year, and everyone will be happily creeped out. Put two on skewers for party presentation. Or plop them in a set of vampire teeth and hand them out for Halloween fun. 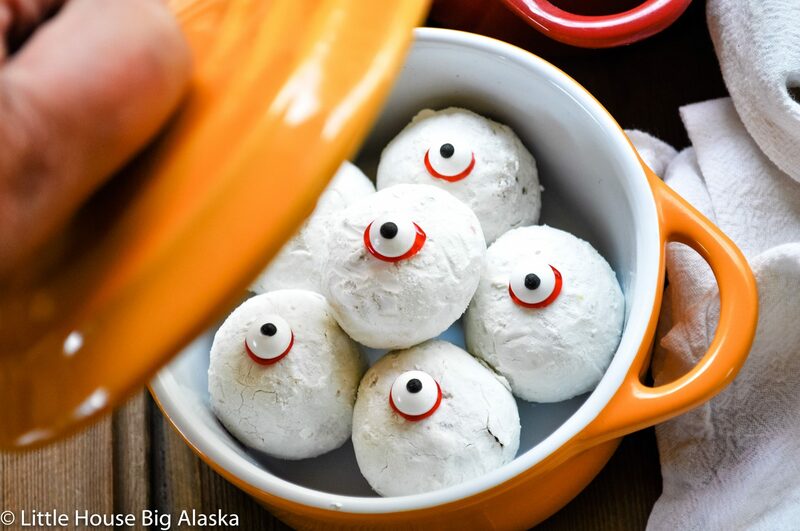 You will need candy eyeballs for these doughnut hole eyeballs, you can find them in Target or most box stores in the Halloween or baking aisles. Or grab them from my Amazon Affiliate Link. 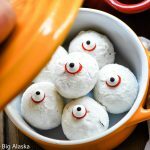 These quick and easy to make Halloween Doughnut Hole Eyeballs make for some of the best Halloween Dessert or Halloween Party Food, creepy and tasty! I have more tasty fun too, like Make Your Own Pumpkin Spice Lattes or a delightful to make Haunted House.  Sharing is caring, would you pin this for me? !